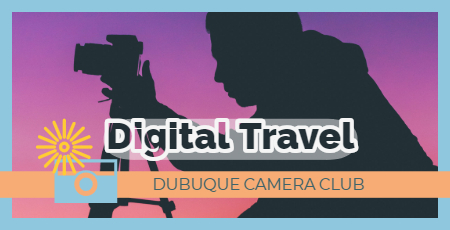 The Dubuque Camera Club will meet on Monday, April 15, 2019 at 6:30 p.m. All tri-state area photography enthusiasts are welcome to attend. Our club will judge the Digital Travel category of the N4C competition. Three experienced club members are needed to participate as judges. Most photos are judged on the basis of Technique, Composition, and Interest. See the N4C website for more about how judging works. Audience members will enjoy a lot of terrific images!